What happens when you create a background with crackle paint and then spray a bunch of ink on top? That’s what I wanted to try with this art journal page. And let me tell, you the effect is awesome and I just have to try that with different colors and different inks. But first, let me show you how I created this one. How do you like the effect of the crackle paint? Nice, right? 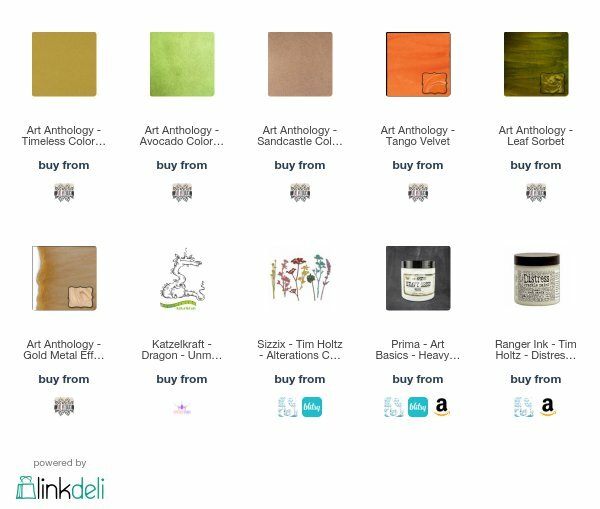 Art Anthology, Art Journal, Katzelkraft, resist. Bookmark.